Stray cat I trapped and TNVR'd decided he didn't want to be released. 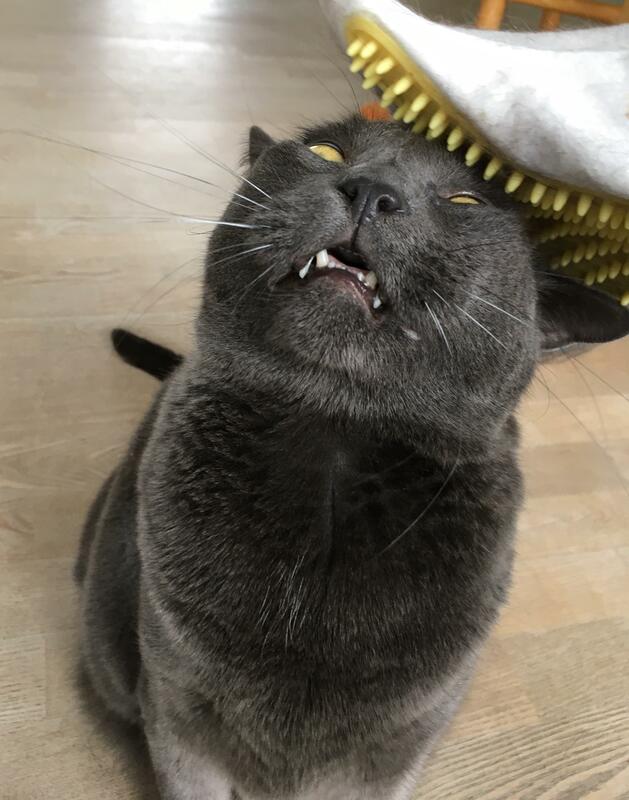 Here he is enjoying his first ever brushy brushy. It’s very important to get the backs of your legs and your armpits when brushing. The Beard getting brushed. Hates baths without it! Brushy Brushy WILD GrOwLiNG LIoN! Absolutely too cute - credit to u/_orangecitrus_ ! "look just give me the brush, I'll do it my damn self"
Can’t forget to brush the whiskers! This is Leo, he is 19 and loves to be brushed! tapir hates being sprayed with the hose but will endure it for scratches. Oliver sort of hates the brushy brushy, until you get him cornered, then it's not so bad. Vacuum is friend not food. Grooming session you say? Omw! When it's brushbrush time we have to have a second brush to rub our face on. This is not optional. Brushy brush—this is mine now. He would let me do this all day. She’s more of a rolly-rolly kind of cat. She enjoys brushy brushy time.